This article was first published on November 15, prior to the latest December UN Security Council resolution against the DPRK, which was adopted unanimously, with the support of Russia and China. 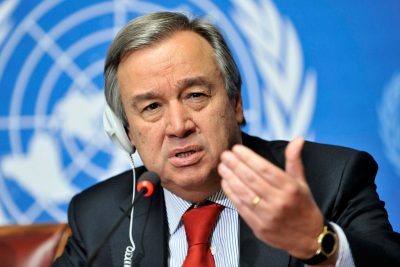 On October 13, the DPRK sent another emergency letter to United Nations Secretary-General Guterres; this was the third letter sent to the UN since November 20, three letters in 23 days attempting to alert the United Nations to the crisis situation in Northeast Asia jeopardizing International Peace and Security, a crisis that could precipitate nuclear war at any moment. All three letters have been ignored, raising alarming questions about the UN’s commitment to “save humanity from the scourge of war. Featured image is from UN Photo/Jean-Marc Ferré.